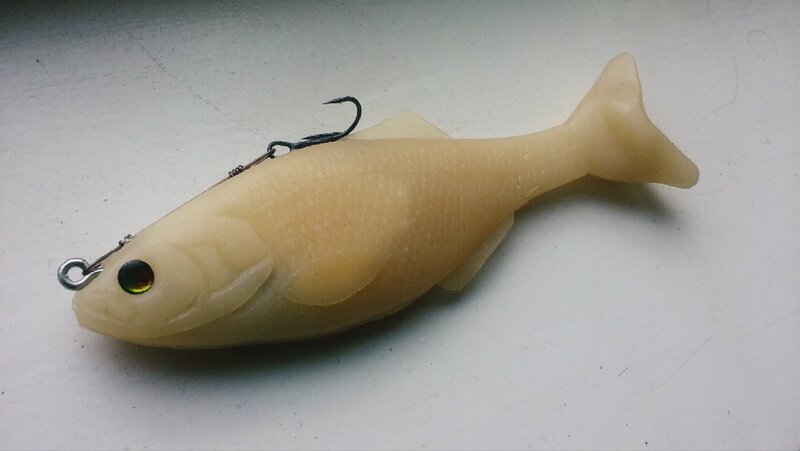 This Bone colored Shima Shad is a soft plastic swimbait that is hand poured using plastisol. It features a wedge-like tail that enables the bait to kick at most speeds. In order to keep the bait running true, there is an internal harness that is constructed out of resin. The swimbait is rigged with a treble hook that is secured to the line tie using saltwater grade wire leader.